It’s Saturday afternoon, and I’ve caught Johnson-Taylor during a break from rehearsals for BTM’s production of Alice in Wonderland. Johnson-Taylor plays the Queen of Hearts, a character whose violent demeanor couldn’t contrast more with the friendly person before me. We speak in BTM’s modest office, and I realize that I’ve never seen a person wearing a leotard in an office setting before. Then again, I’ve never spoken with a professional ballerina, either. For as long as I can remember, I’ve viewed ballet as “Performance Art”—capital P and capital A—intimidating in its precision and formality. It always seemed like art for people with more formal tastes. Yet as I speak with Johnson-Taylor and the other dancers, I’m struck by the way their eyes light up when they talk about ballet, as if they’ve got a secret that they really want to share. It makes me wonder whether I’ve ever really given ballet a chance. 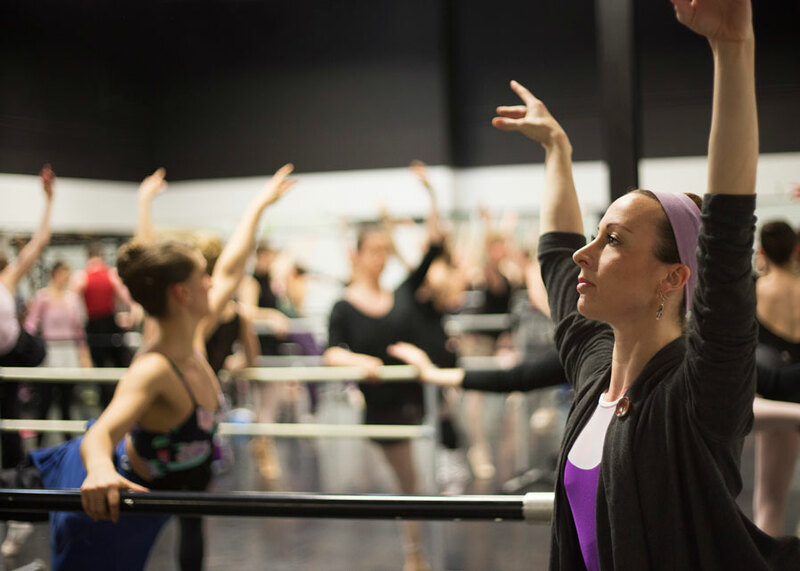 Based in Annapolis, BTM is the state’s premiere professional ballet company. It performs more than 70 times a season, presenting works ranging from classical ballets such as Swan Lake and The Nutcracker to original works such as Excalibur, which was adapted from literature and choreographed by artistic director Dianna Cuatto. Cuatto is BTM’s driving force, responsible for spurring its remarkable creative and professional growth. Since her arrival in 2003, BTM has grown from a company of 6 professional dancers to 52, and a school of 50 to 400 students. 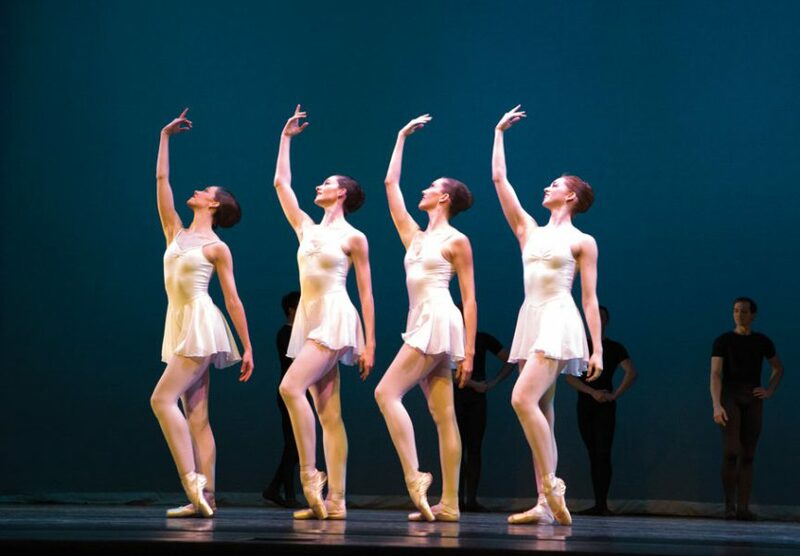 It has received numerous awards, including a proclamation by former Governor Martin O’Malley that October 19, 2012, was Ballet Theatre of Maryland Day. I ask Cuatto— who has an impressive resume spanning numerous genres of dance—why she chose to focus on ballet. Cuatto returns to ballet’s expressive potential throughout our conversation. She believes that allowing people to experience it for themselves is key to expanding its audience. To that end, she keeps ticket prices low and places great emphasis on community outreach and education. BTM regularly performs in schools and at public events, and has programs designed to bring ballet to underserved communities. “I want people to have a chance to see if they like this art form. 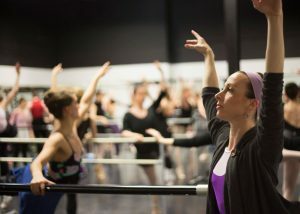 Most people do, once they have the chance to see good ballet,” she says. Yet BTM’s low ticket prices and nonprofit status come at a cost. Nearly everyone involved in the company does double duty. For instance, Johnson-Taylor sews the dancer’s costumes while Nicole Kelsch, another principal dancer, runs BTM’s school. 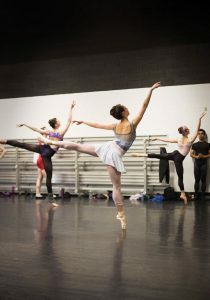 This work comes on top of the dancers’ rigorous six-days-a-week rehearsal schedule. Moreover, BTM is supported by a self-described family of people who are committed to what BTM does for the community. Board members attend—and purchase tickets to—every performance. Dancers’ parents pitch in to paint sets. Dancers work second jobs to make ends meet, waiting tables after putting in a full day at rehearsal. A few days later, I meet with Steve and Cindy Pimpo. Steve serves as vice president of BTM’s board and Cindy has taken classes at BTM’s dance school. Their daughter, Laura, participates in BTM’s trainee program. Encouraged by their friendliness, I ask a question that I was too bashful to ask Cuatto: How do you know if ballet is good? It then occurs to me how frequently the word beautiful has come up in my conversations about BTM. It’s a powerful word, unequivocal in its praise. I begin to realize how rarely I use it. I wonder—is it because there’s a dearth of beautiful things in my life? Or does it reflect something deeper, perhaps an ingrained cynicism that runs through our culture and makes us dismissive of things that aspire to such a lofty goal? When was the last time I dared to call something beautiful? Have I ever been brave enough to make something that I hoped would be worthy of that word? A week later, I finally got to see BTM in action. The performance, titled Innovations, wasn’t anything like I expected. Rather than tutus, the dancers wore plain leotards and tights, which put the focus squarely on their movements. I was amazed by the dancers’ strength and stamina, their fluidity, and how their facial expressions added to the performance—they were as much a part of the show as the movement of their feet. Error: Error validating access token: Session has expired on Saturday, 09-Mar-19 15:57:50 PST. The current time is Tuesday, 23-Apr-19 08:51:52 PDT.